The Bahco 317 Hacksaw Frame is compact and easy-to-use hacksaw for all round cutting. The slim design improves access into confined spaces and makes storage easy. The special comfort grip at the front provides good support for the guiding hand and ensures a much better performance. Alternative blade mounting for flush cutting. This display box contains 10 x 317 Bahco Hacksaws. 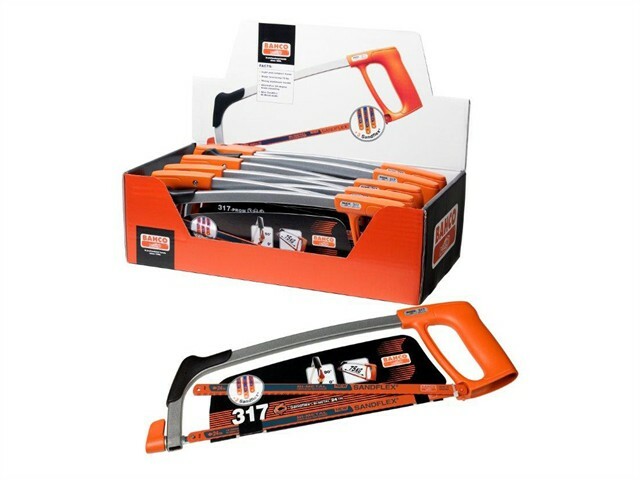 Each hacksaw is supplied with 3 extra blades FREE.